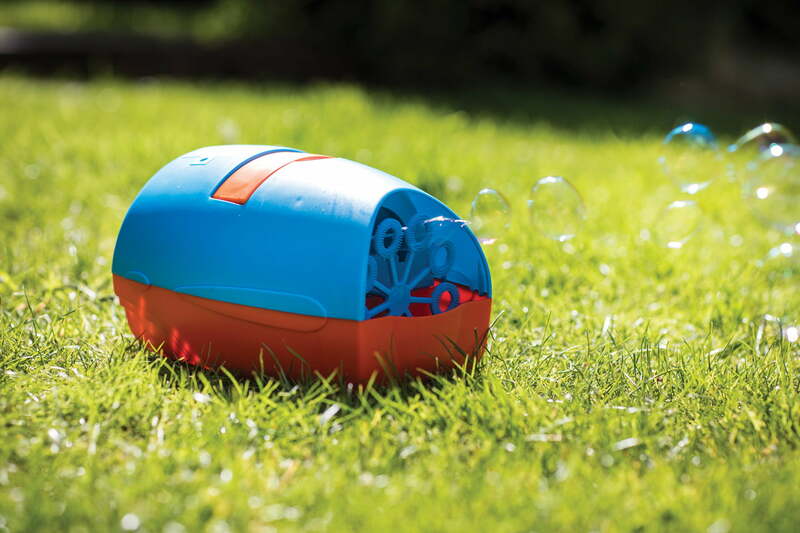 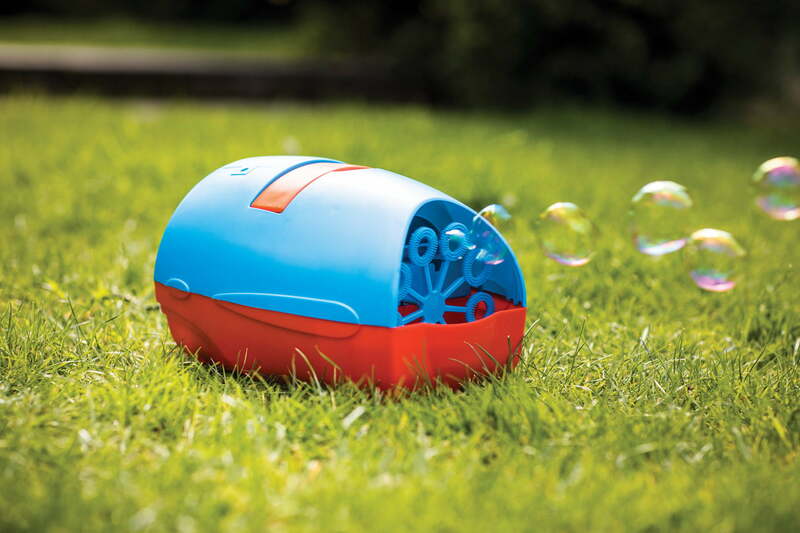 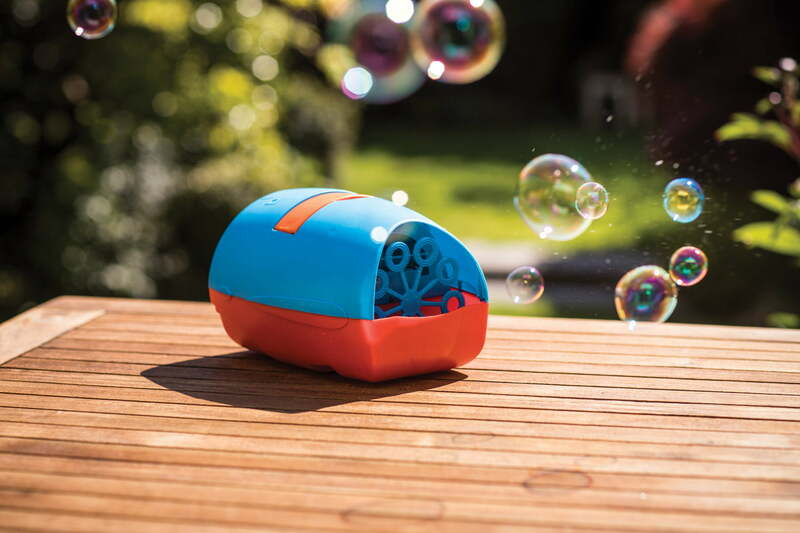 The QTX Mini Party Bubble Machine is a colourful bubble machine suitable for children’s parties. 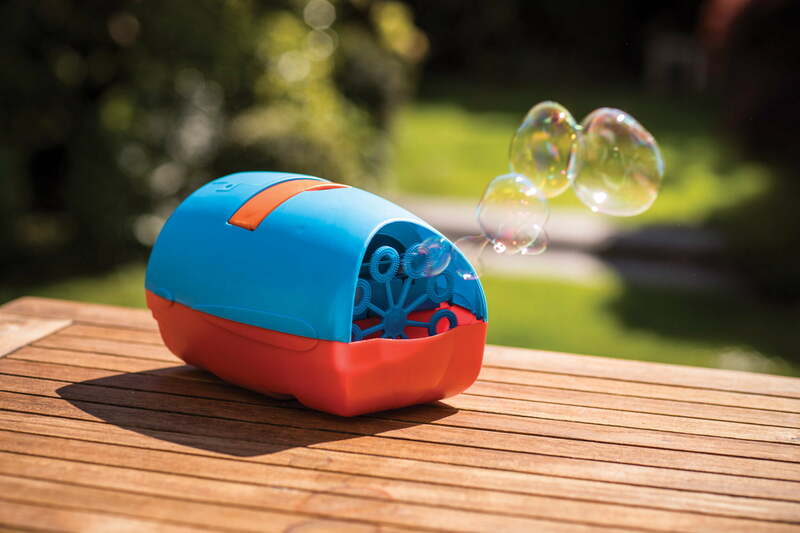 Completely Child safe and portable, this device can be battery operated! 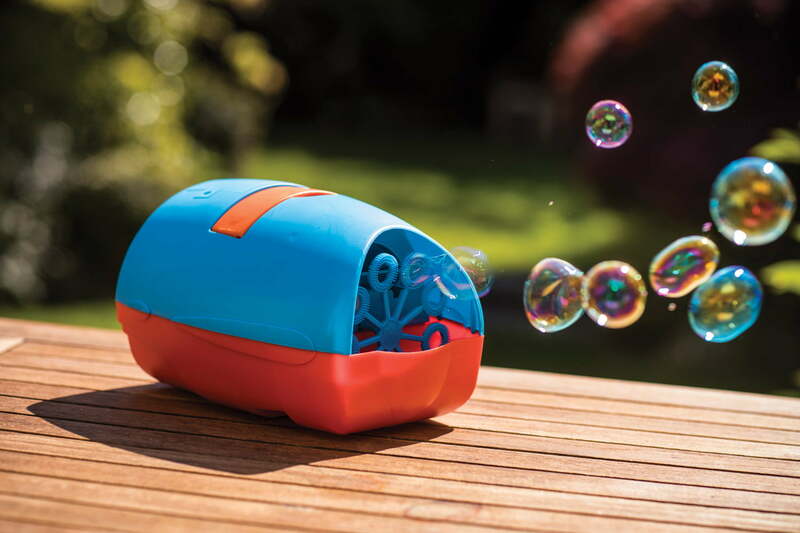 Fill up the Bubble Machine and start the party!. 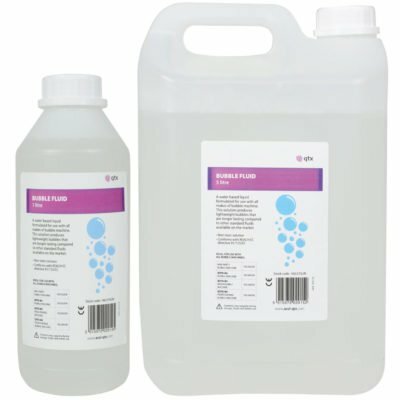 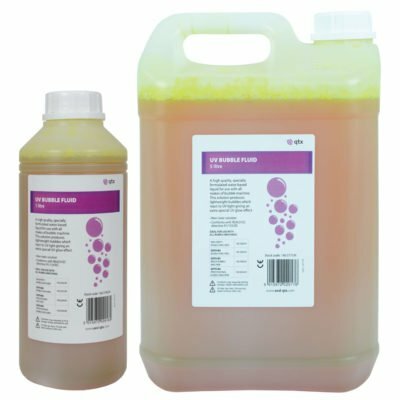 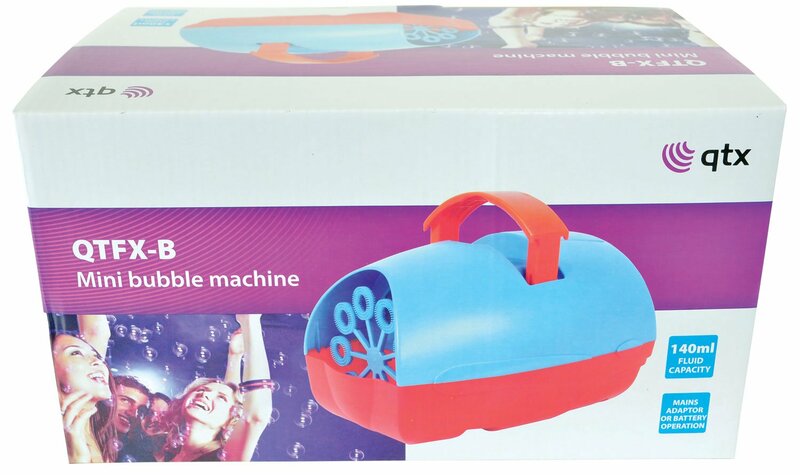 There’s nothing quite like floating soap to make the party wonderful. 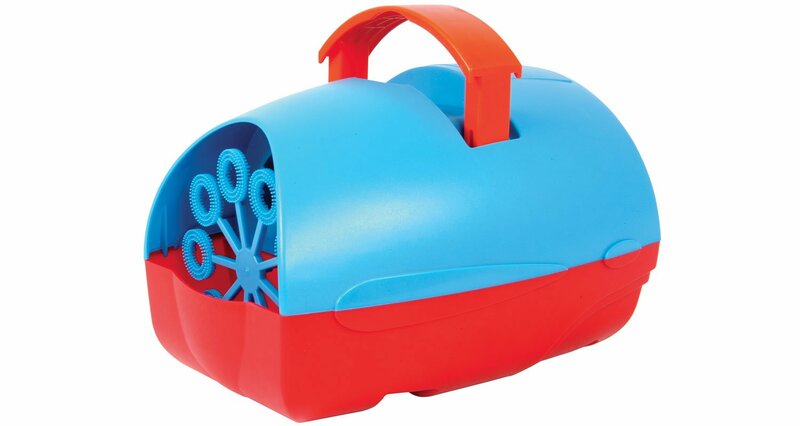 This Party Bubble Machine comes in a sturdy colourful sturdy plastic case with a retractable handle, and features multiple bubble wands mounted on a carousel that produce a continuous stream of bubbles!